It's National Hot Dog Day ! Heat oven to 375 degrees. Slit hotdogs and place 3 strips of cheese in slit. 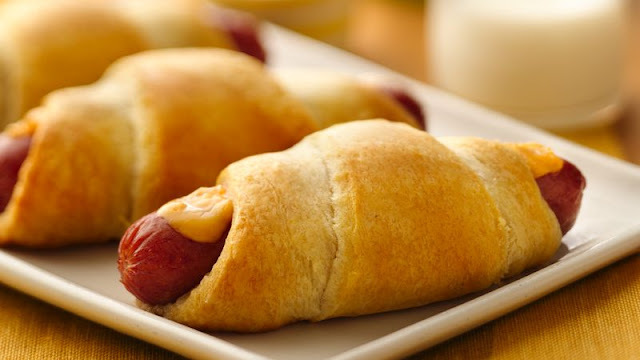 Wrap a triangle of the crescent rolls around the hotdog. And place on baking tray -cheese side up. Bake 12-15 minutes or until done.